Older homes may have windows with single-pane glass, but nearly all modern windows sold for new construction or replacement feature some form of sealed glazing. Known as IGUs (insulated glass units), these windows are also known as insulated windows, or thermopanes. Over time, the seals on IGU windows may fail, which compromises the insulating ability and reduces the clarity of the window. The only windows that are truly sealed are those constructed with two or three layers of glass assembled to form an IGU (insulated glass unit). Older-style, single-pane windows cannot be said to be sealed at all, although the glass may loosen within their frames when the glazing putty cracks or loosens. IGU windows are constructed with two or three panes of glass separated by some kind of spacer material and sealed together at the edge. The space between glass panes is sometimes a partial vacuum, but more often it is filled some kind of inert gas, such as argon or krypton. In addition, the glass panes themselves may be coated with a heat-reflective material. This combined technology slows energy transfer so that the IGU windows (with seals intact) keep homes warmer in the winter and cooler in the summer. The partial pressure differentials between the air outside and the gas inside cause both argon and krypton to naturally escape an IGU. Even when an IGU is perfectly constructed, the gas will escape at a rate of about one percent per year, and that rate is much faster when the IGU is poorly made. Usually, IGU windows experience seal failure gradually in the years following installation in a home. But IGUs have known to have seal failure even when new. Transportation over the mountains, for example, may cause seal failure due to changes in atmospheric pressure. To avoid this, some manufacturers maintain regional factories so that windows are installed in conditions that are close to those under which they were manufactured. Knowing if your windows have seals that have failed is not always easy. Some people believe that you can detect seal failure simply by touching the glass to feel for temperature differences, but this simply doesn't work. Since detecting seal failure is really a visual process, you need to provide yourself with a blank slate. Thoroughly clean both the inside and the outside of the window, so you are certain that you are not looking at external moisture and grime. When the inert gas begins to leak out of the IGU, the panes sometimes begin to bend and collapse slightly in the center, and this can cause the glass to look distorted, or sometimes even break. By standing at a distance outside and looking at the reflection, you can see if the glass is more distorted than those of windows not affected. Such distortion likely indicates that seal failure has occurred. 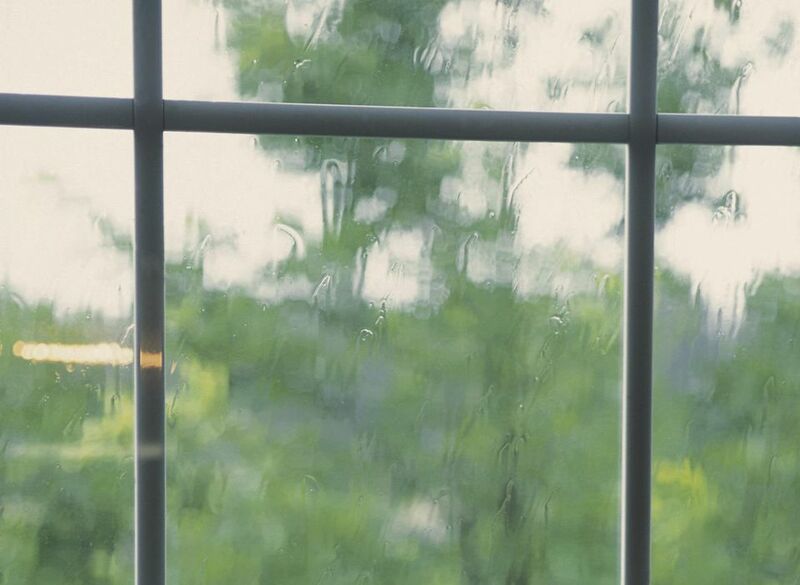 Fogging, hazing, or moisture between the two panes of glass usually means that the window seal has failed. While a window can certainly fail and not have any moisture between the two panes, it is more common to see moisture between the two panes. This fogginess or hazing may come and go, depending on weather conditions. It is most likely to occur when indoor and outdoor temperatures are very different and may vanish as temperatures change or humidity levels change. There are a number of approaches you can take after determining that the seals on your IGU windows have failed. Windows are one purchase where saving the warranty information is very important. Manufacturer warranties can range from 3 to 5 years to 15 years or more. Most windows manufacturers warranty their insulated windows against failure in a pro-rated manner so that consumers are reimbursed on a sliding scale depending on the age of the windows. A window that demonstrates seal failure immediately after installation will likely be reimbursed at the full purchase cost, while one near the end of its warranty period will pay less. Manufacturer warranties rarely, however, cover the cost of labor. The labor costs for replacement are usually borne by the homeowner. Remember that a "lifetime warranty" does not mean the window is guaranteed for your lifetime or the lifetime of your home. Such warranties cover the expected lifetime of the window itself as defined by the manufacturer. Make sure to carefully read warranty conditions when you are buying new or replacement windows, and keep all warranty literature. You can simply ignore the failed seal. Yes, this may sound like home renovation heresy. But if you live in a moderate climate, your need for sealed IGUs will be less important than if you live in a place of brutal, extreme temperatures. Weigh the cost of new windows with the increased energy cost, and you may be surprised to realize that it is cheaper to keep the window, failed seal and all. Fogginess in a window with a failed seal may be unsightly, but it is a cosmetic problem that you may be willing to live with. Another option is to call a defogging company. After drilling a tiny hole in the glass, the company expels the condensation and then installs a valve and seal. This is a more expensive option than you might imagine, and the quality of results is debatable. The process does not generally replace the inert gas inside the IGU, so it does not fully restore the insulating value of the window. It can, however, remove the fogginess and condensation that spoils the look of the window—at least for a time. Whether as part of a warranty claim or purchased on your own, the failed IGU unit within the frame can be replaced. There are companies that specialize in custom-manufacturing IGU units to specific measurements, though you will need to hire someone to install the IGU once you take delivery. Some companies specialize in the whole process—measuring, manufacturing and installing—but the cost for this is nearly as high as for having the entire framed window replaced. Depending on the age of the window, replacing the entire window (frame and all) may be the best option. Sometimes this will be the approach taken if the windows are still under warranty and were installed by the manufacturer's own installation team (this is one instance when labor costs may be covered). More often, this means you'll be hiring a replacement window firm to install new windows. Replacing the entire window is the best option when the window is old and the frames and operating hardware may be wearing out anyway. Full replacement can also allow you to take advantage of new technology and energy-saving innovations that might be available. If several windows are demonstrating failed seals, it may be time for a whole-house window replacement project.